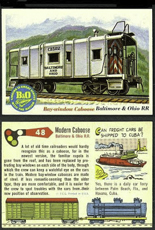 The 1955 Topps Rails and Sails set features trains and ships. 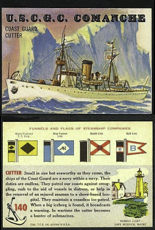 The set contains 200 cards. 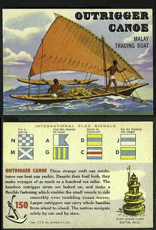 Cards #1-#130 are the Rails and card #131-#200 are the Sails. 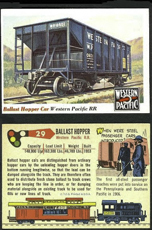 The Rails cards #81 thru #130 and the Sails cards #151 thru #200 appear to be short printed. 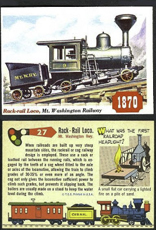 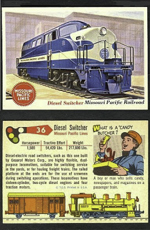 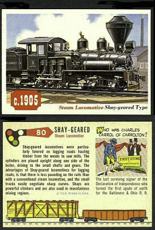 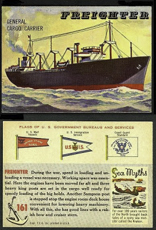 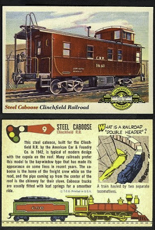 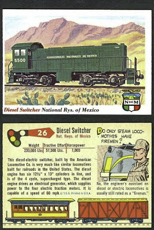 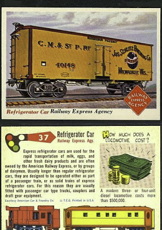 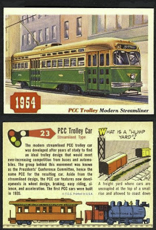 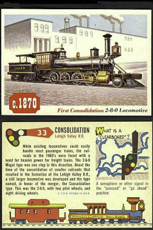 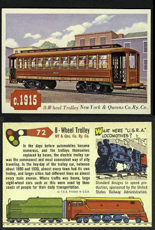 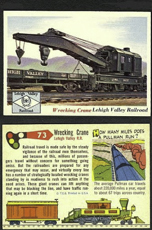 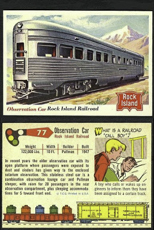 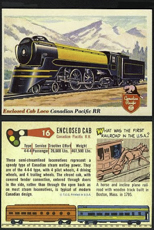 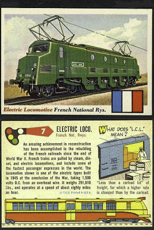 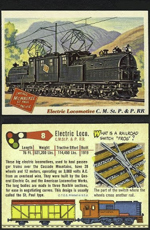 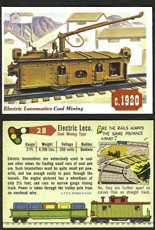 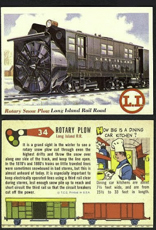 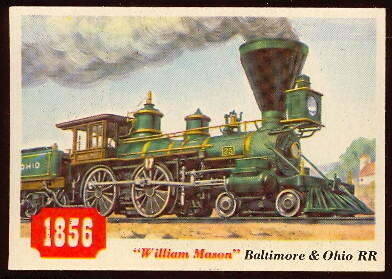 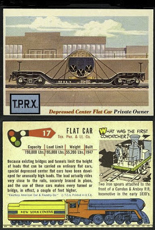 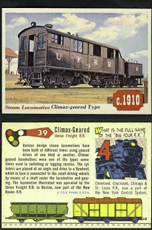 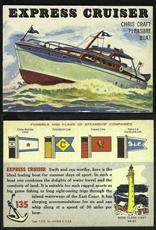 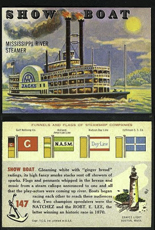 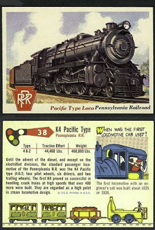 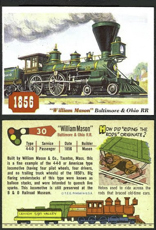 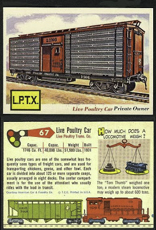 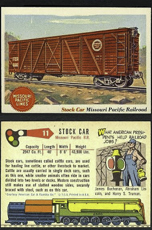 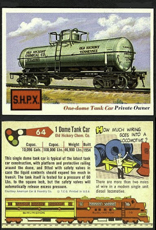 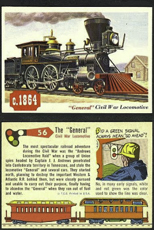 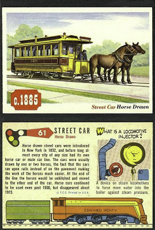 The card fronts have color pictures of various Locomotives, Trains, and Sailing ships. 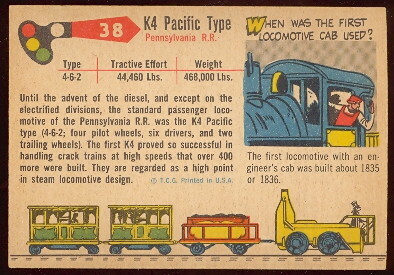 The backs give descriptions and statistics. 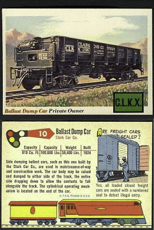 The cards measure 2-1/4" x 3-3/4" in size. 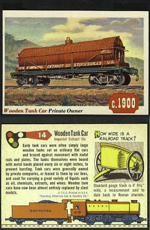 A very popular set with collectors. 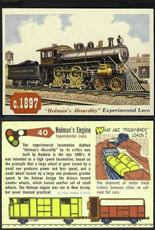 40 Holman's Absurdity Experimental Loco.